~ by admin on May 19, 2009. The nice people at an investment firm Crescent Point wanted a special gift for their colleague’s 40th birthday. 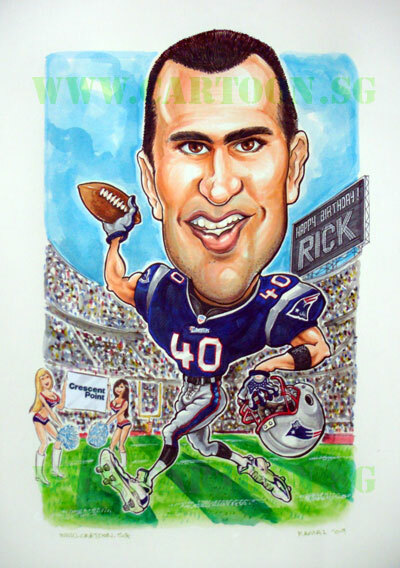 Rick is an American who is crazy about the New England Patriots. We made sure we got the details right, including the costume of the cheerleaders cheering him on. A gift for her colleagues.